Vermeer was played by Colin Firth in "Girl with a Pearl Earring." The actor read up on Vermeer and even took painting classes to better portray the elusive artist. 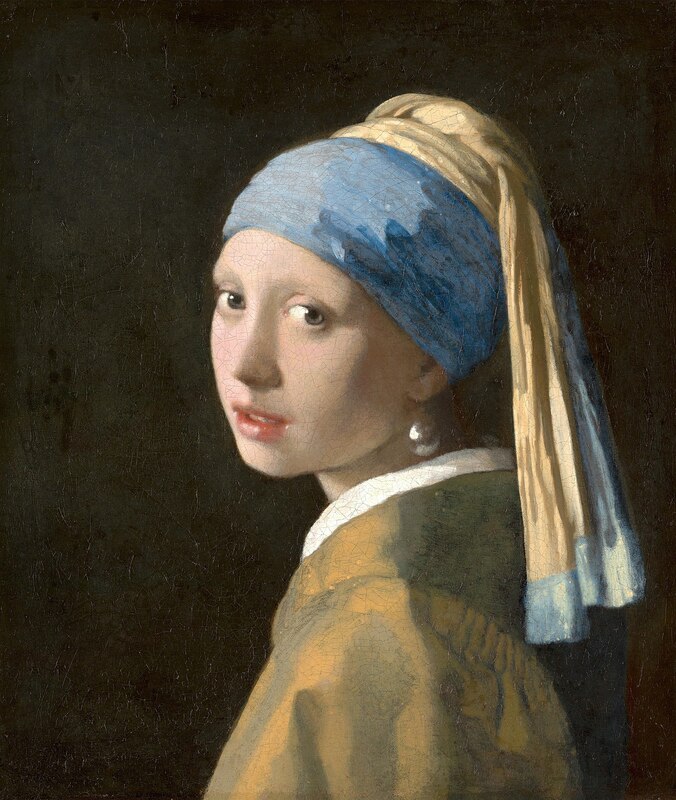 The complex stare of Johannes Vermeer's Girl with a Pearl Earring is infamous. So much is unknown about this painting, but it is this air of mystery that no doubt adds to her allure, propelling this painting to stardom as one of history's greatest masterpieces. This is one of those paintings that even those who hate art would probably recognize. Interestingly enough though, this painting did not find itself amid the stars until the late twentieth century. During the time of its creation in the seventeenth century, Vermeer was unknown in the art world. He struggled to support his family throughout his life and ultimately left his household in debt upon his death. Given how undervalued his work was, perhaps it comes as no surprise that when this painting was sold 1881, it raked in the low price of two guilders and thirty cents...which roughly equates to about two bucks fifty. Even with inflation that is a pret-ty good deal for what would soon be one of the most iconic paintings throughout art history. Our lady was originally titled Girl with a Turban, but now is colloquially referred to as the Mona Lisa of the North. Not a whole lot is known about her. Art historians believe that she was Vermeer’s eldest daughter, Maria. If this is true, I am sure Maria felt quite special. Vermeer and his wife had fifteen children, so being chosen as the star for one of daddy’s paintings was surely a sign of favoritism. Some historians even believe that she was a gifted painter and that as much as a fifth of the paintings that are believed to be Vermeer’s are actually Maria’s. Like father. like daughter. Author Tracy Chevailer wrote a novel about this painting in which she also hypothesizes about the dynamic of the relationship between Vermeer and the mysterious star of this piece. In the book, Vermeer becomes suspiciously close to his housekeeper, Griet, and asks her to pose for his painting wearing his wife’s earring. There is absolutely no historical evidence to back up this interpretation, but it sure does make for a great read...and even better cinema. This novel inspired the 2003 movie Girl with a Pear Earring featuring Scarlett Johansson. It’s worth watching not only for the fact that it features this awesome piece of art, but Johansson is always a treat for the eyes as well. Girl with a Pearl Earring (Dutch: Meisje met de parel) is an oil painting by Dutch Golden Age painter Johannes Vermeer, dated c. 1665. Going by various names over the centuries, it became known by its present title towards the end of the 20th century after the large pearl earring worn by the girl portrayed there. The work has been in the collection of the Mauritshuis in The Hague since 1902 and has been the subject of various literary treatments. In 2006, the Dutch public selected it as the most beautiful painting in the Netherlands. Check out the full Wikipedia article about Girl with a Pearl Earring.